You know at a wedding when they have you write down your suggestions for a happy marriage? I never know what to say... I think I have a pretty happy marriage but I struggle to put into words how we have managed the last 19 years without killing each other. I usually put something cliche like "never go to bed angry" or "always show your partner you appreciate them", valid pieces of advice to be sure but they never feel truthful to me. 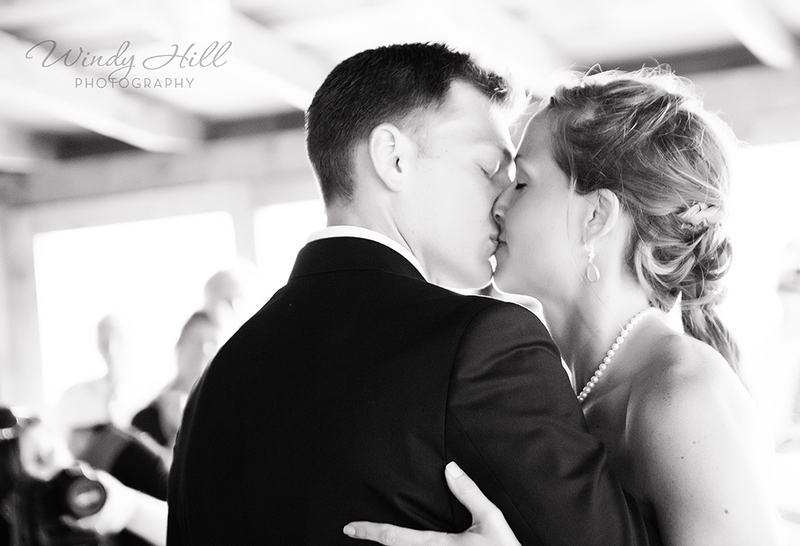 If you have read this blog before you know two things for sure about me, I LOVE first dance photos and I have a difficult time putting words to paper(or screen as the case may be). I have finally figured out what I need to be able to truthfully, authentically give my advice, photos... of the first dance to be precise. So here goes, my advice for a long and happy marriage. Everyday look at her like she is the most beautiful woman in the world(even when she has just woke up and didn't remove her mascara from the day before and her hair is standing up in every direction but the right one). Look at him like he is the best thing that ever happened to you(even when you think you might never want to see his face again, especially then). Surround yourselves with people who love you and support you. Kiss everyday like it's your wedding day. PS Congratulations Reid and Kelly! Next up the rest of your wedding day!